As I've said before, the newest AMD chips can get close or stack up to intel's top-of-the-line procs if you are stressing every core 100%. They have muscle, but you have to give them a punishing load before they start to flex it. 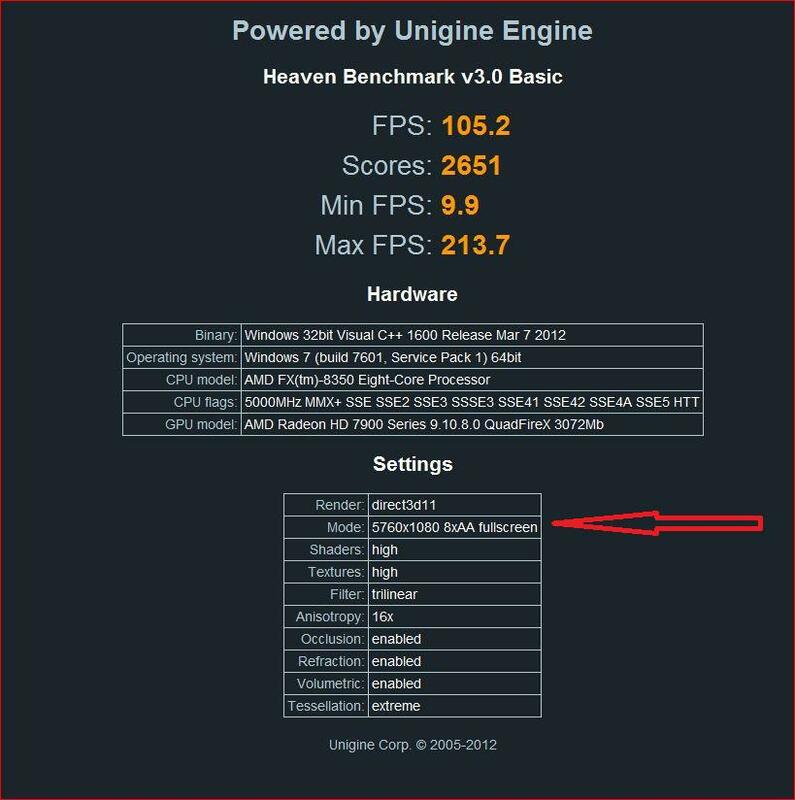 That score also probably has much more to do with your quad-fire 7970 setup though. You are the lowest score with that GPU setup, probably because its bottlenecked slightly by the CPU vs guys with the Intel X79 setups. Still a killer combination though. 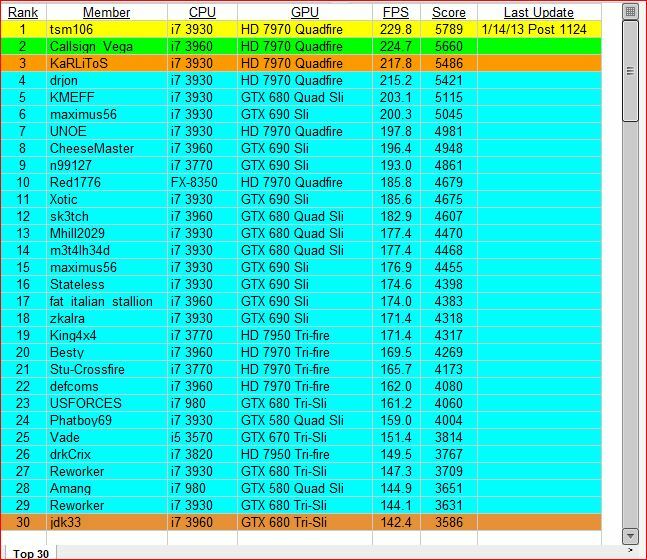 I have talked to the guys scored above me and they have their GPU's under water and are running them at 1350/1700 and up @ 1.35-1.4. I am not running anything close to that and I am not willing to do until I get mine under water and blow up $2000 worth of cards. I disagree, I don't think Its coincidence that every single CPU on the list is a heavily overclocked 3770K,3930,or 3960. The 8350 has continued to scale every time I push the core up, so Im not finding a bottle neck yet. I guess I will find out when I get them under water, but I would not bet against them. 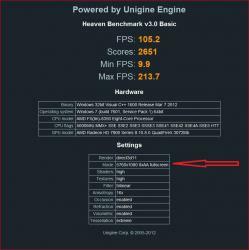 Awesome... why is this I keep hearing the FX-8350 is a beast out of nowhere?? Maybe it is comparable to Intel's offerings in GPU-orientated benchmarks but in gaming where the CPU and GPU is used heavily, AMD still does not perform close to Intel. WHOO, get in there Red! I' sorry...I thought I heard something....nope. Well now I want to see cryo and red go head to head in whatever you choose then. High end Intel and and CPUs going head to head with quad fire and quadsli facing off. I want to see the 50% differences. At resolutions that normal people use (around 1080p) there are great undeniable differences between Intel and AMD. 3 screens seem to be at such a high resolution that AMD doesn't seem too negatively affected.